Celebrate your favorite characters from the Watchmen movie! 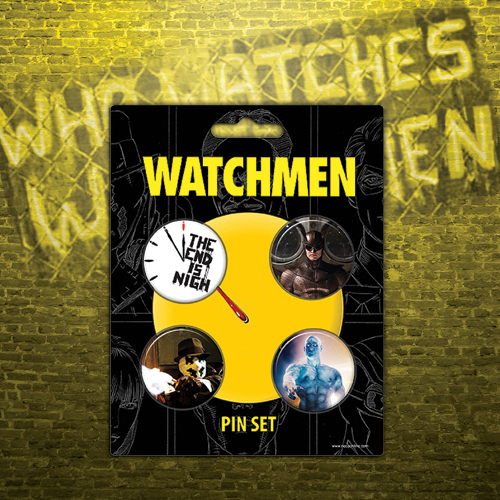 This pin set features movie art of Dr. Manhattan, Rorschach, Nite Owl, and the Doomsday Clock. There are 4 pins in the set — perfect for backpacks, jackets, anything!